Crime Prevention Officer Alex Acosta welcomed everyone. This will be a great event to celebrate San Gabriel’s Police Department’s 16th participating year in this extraordinary event to build unity and strengthen the police and community partnerships. Have a great time. 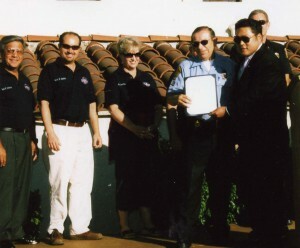 Alexander Kim, Deputy Director from Governor Arnold Schwarzenegger’s office presented Crime Prevention Officer Acosta with a proclamation of appreciation. Mr. Kim said Arnold recognizes the public safety officers for all the work they do for the residents. 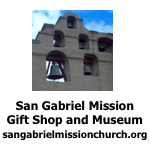 This event brings people together and helps protect the San Gabriel Valley. Police Captain Richard Arnold welcomed all to the 16th year that the city has had this event. He said Police Chief Dave Lawton was attending the Boy Scouts Jamboree. 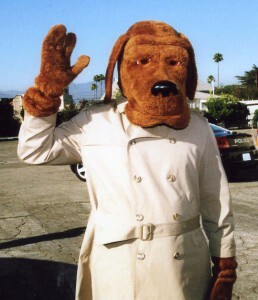 The city officials, staff and guests would be attending 42 parties held by the Neighborhood Watch Groups. 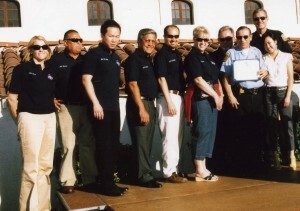 He introduced Mayor Albert Huang, Vice Mayor Dave Gutierrez, Councilmembers Juli Costanzo and Kevin Sawkins, City Manager Steve Preston, Fire Chief Dave Nestor, Director of Parks and Recreation Rebecca Perez, Jennifer Davis, Johanna Ambicki, Battalion Chief Nick Terry, Anna Cross, Nina Castruita and Bob Bustos. He thanked the city family for their participation. Mayor Huang thanked the Councilmembers for their support of this event every year and thanked Mr. Acosta for putting on the event. This is a great way to approach the residents and show the public that we do care. He thanked all for coming. Yvonne Shu from Congressmember Adam Schiff’s office said she was happy to be here on behalf of Mr. Schiff. She thanked all the police officers and the people for putting on this event. 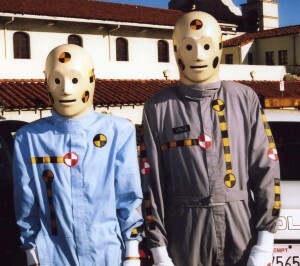 Larry and Vince, the Safety Dummies were ready to party. Mayor Huang visited with members of the community. Alex Acosta shared the spot light with members of the Neighborhood Watch. 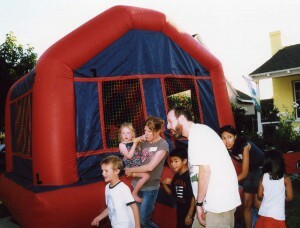 Families enjoyed their party with a moon bounce and good food. Little firefighters wanted to take the truck for a spin. 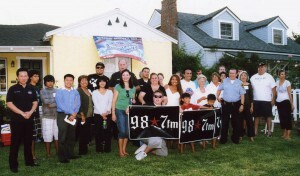 Mayor Huang, Fong Ly from Assemblymember Mike Eng’s office and Alex Acosta joined with the neighbors and members of 98.7 FM station at another party. 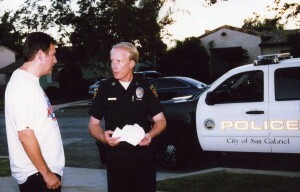 Captain Arnold in discussion with a member of the Neighborhood Watch. Sharing the fun with a football. 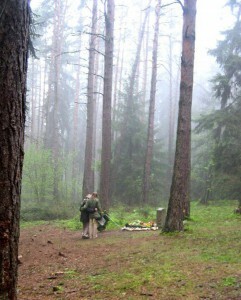 Local officials, city workers, firefighters, police officers and members of the U S military caravanned to each of the local parties hosted by Neighborhood Watch Groups. Children received police and firefighters badges, police cards and magic light bracelets. The evening was filled with fun, good food and friendship.